Lecturers, click here to request an e-inspection copy of this text Qualitative Research Methods is based on the authors' highly successful multidisciplinary qualitative methods workshops, which have been conducted for over a decade. 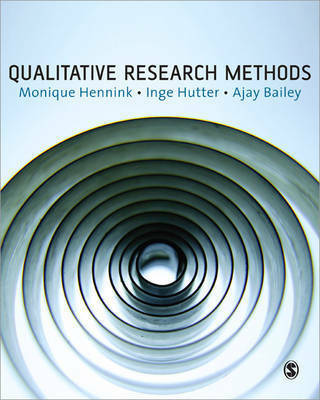 In this book the authors propose a 'qualitative research cycle' that leads students through the selection of appropriate methods, the collection of data and the transformation of findings into a finished project. 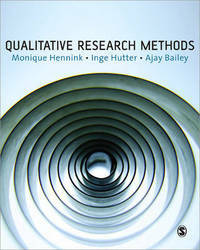 It provides a clear explanation of the nature of qualitative research and its key concepts. Topics covered include: o formulating qualitative research questions o ethical issues o in-depth interviews o focus group discussions o observation o coding o data analysis o writing up qualitative research This text is ideal for any students taking a qualitative methods course or producing a qualitative research project at undergraduate or graduate level. It is illustrated throughout with case studies and field examples from a range of international contexts. The practical techniques are also accompanied by the author's own research tools including interview guides, real coded data and comprehensive research checklists.